2017 is already shaping up to be a big year for Bradley Airport! Over the past two months, the CAA has been able to announce the launch of two new airlines and a number of new routes, as well as the opening of a new Customs and Border Protection Global Entry Enrollment Center. As these services come online and progress continues on other projects focused on improving the customer experience, Bradley is well-positioned for another strong year of growth. In January, Bradley announced that Spirit Airlines, an ultra-low cost carrier, will begin operations in the spring with direct, nonstop service to destinations including Myrtle Beach, Orlando, and Ft. Lauderdale. Myrtle Beach has been one of the most-requested destinations from Bradley passengers over recent years, and the launch of an ultra-low cost carrier at Bradley adds a new type of service for the airport’s cost-conscious travelers. In February, Bradley Airport added to its transatlantic offerings with the announcement that Norwegian Air will begin starting direct flights to Edinburgh, Scotland this June. The CAA also added seasonal nonstop United Airlines service between Bradley International Airport and San Francisco International Airport, running from June 8 – September 5, 2017. The CAA is pleased to continue enhancing its international route structure with the addition of Norwegian’s service, and the new San Francisco flight offers business and leisure travelers with connectivity to one of the country’s most desirable West Coast destinations. February also brought the addition of a new Global Entry Enrollment Center at Bradley Airport. Operated by U.S. Customs and Border Protection, Global Entry provides approved travelers with expedited clearance and processing when entering the United States. This addition fills a major need for our regional travelers, as it provides a convenient location for travelers to complete their enrollment without having to travel to New York or Boston. 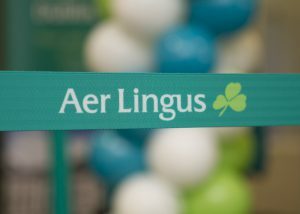 These announcements follow a number of major 2016 developments – including the addition of daily Aer Lingus flights to Dublin and American Airline’s direct service to Los Angeles. With new airlines, new amenities, and more passengers choosing the airport every year, Bradley is in a period of transformation and growth.